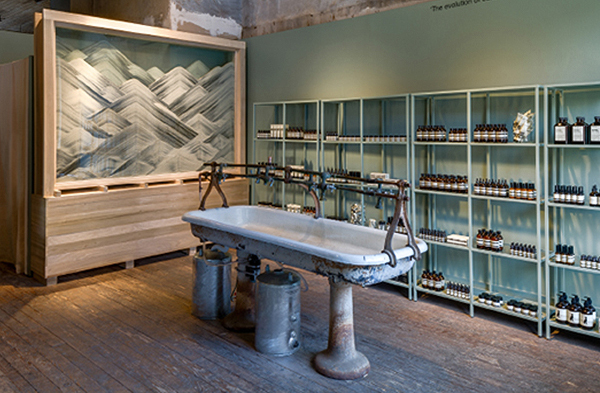 We think it's important to maintain a fresh store image by constantly altering the interior decoration. 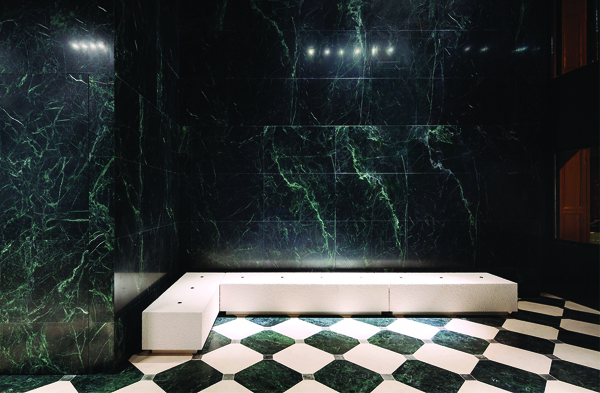 Installations seem to be the best option if space allows it. We've recently discovered Alexander Wang's archives recording past appearances of his flagship store in New York and were mesmerised by such display of creativity. Here's a selection of pictures accompanied by the artist's description. To coincide with the launch of the Objects No. 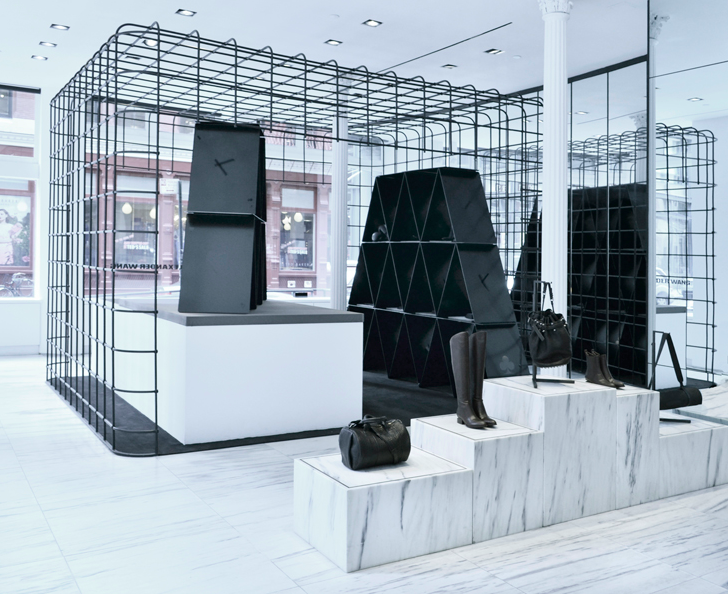 3 Collection, the latest cage installation, House of Cards, is now up at the Alexander Wang New York City flagship store (103 Grand Street). Enlarged versions of Alexander Wang playing cards are stacked to house the latest Objects No.3 collection, which includes new styles such as the jump rope, boxing gloves, bottle opener and a set of candle holders. The 10-piece collection is an evolving continuation of the Objects collection, with select items in embossed stingray. Glow is a recurring theme for the Spring 2013 collection across all categories. 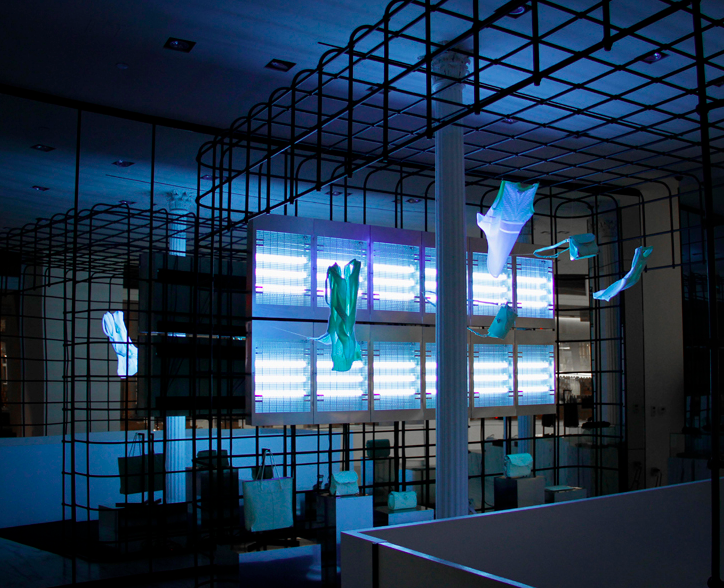 Through the use of UV lights, the latest cage installation at 103 Grand Street, NY emphasizes this glowing luminance, providing an illusion of pieces being pulled into a wall of electric bug zappers. 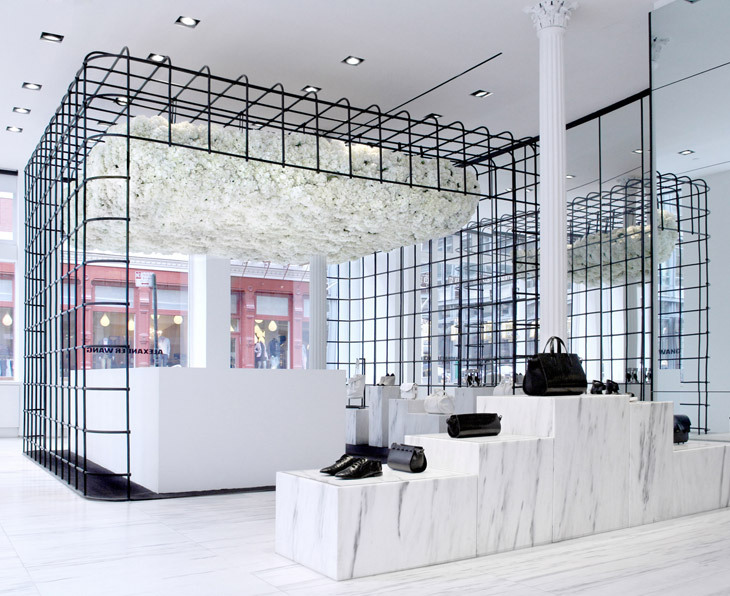 Alexander Wang worked with acclaimed florist Jeff Leatham to create Floating Hydrangeas, a new cage installation of 3000 suspended white hydrangeas at the Soho Flagship store. 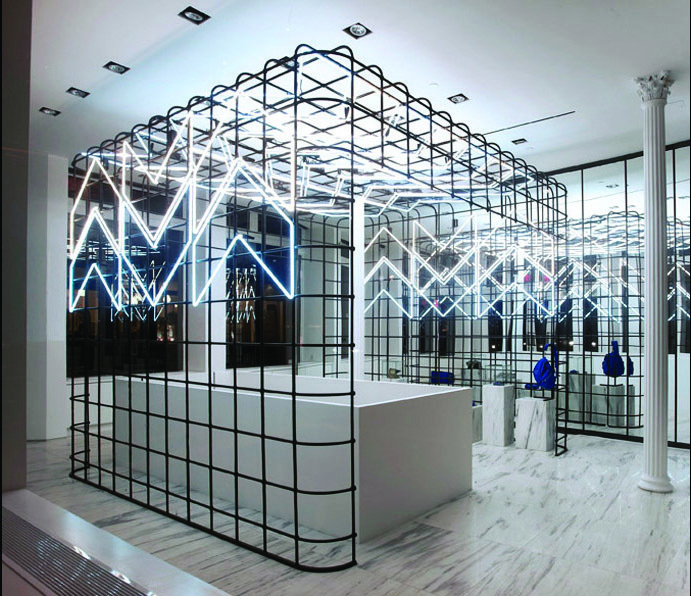 Leatham previously collaborated with Wang for the store’s opening party in February 2011 during New York Fashion Week, Floating Hydrangeas, which has gone up today, coincides with the store’s 2-year anniversary this fashion week. Graphic light installation of cool and warm white neon inspired by the bright chevron patterns found in the Spring 2012 RTW collection. All pictures (c) Ian Tong.